The MF 48 series, 4x400 ml, offers a 28 x 15ml tubes & 4 Deep Weell blocks capacity in optimized dimensions. 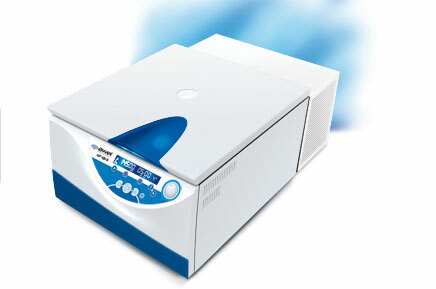 Perfect control of the centrifugation cycle : programmable acceleration and braking rates and precise control even at low speed. Refined ergonomics: convenient working height, AWELock rapide rotor exchange, AWELight illuminated handle to indicate end of run, motorized lid opening.